St John Ambulance Western Australia has issued a challenge to everyone in Western Australia to take the Clicktosave test before heading off on their Easter getaway. In fact, even if you plan to stay closer to home, this online first aid course will equip anyone with essential skills needed to help save a life. 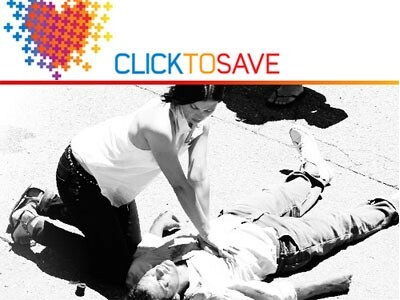 Clicktosave is a series of interactive lessons teaching basic first aid knowledge, such as CPR, through lifelike scenarios and demonstrations conveyed via photos and video. The course culminates with a brief ten question multiple choice test, which must all be answered correctly to pass. More than 20,000 people have taken part in Clicktosave since August 2013. St John Metropolitan First Aid Trainer Rondel Dancer said it takes less than 30 minutes to do the online course. “We realise people won’t have time before Easter to engage in a full day of first aid training, however it won’t even take half an hour to complete Clicktosave and ultimately this time spent, could help save a life,” Ms Dancer said. Ms Dancer said it also addresses some common first aid misconceptions. Ms Dancer said Clicktosave is a good starting point or refresher for first aid. “It’s not an alternative to practical first aid training – that is still essential – but it will equip you for the Easter break with basic knowledge to respond appropriately in the case of an emergency,” she said. In case of an emergency, after checking for danger and assessing the response of the patient, call triple (000) for St John Ambulance.